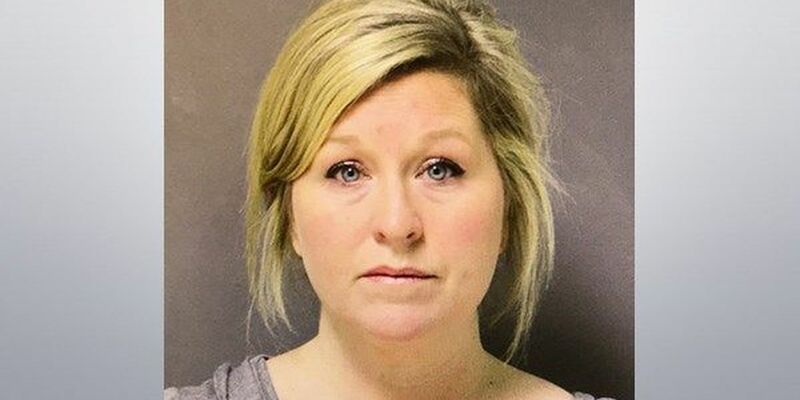 BATON ROUGE, LA (WAFB) - District Attorney prosecutor Tony Clayton said he will not be pursuing criminal charges against a West Baton Rouge teacher. Melissa Blank was arrested a few weeks ago after she was accused of grabbing an elementary student. She was transferred to another school. It reportedly happened on February 7, 2018 while Blank worked at Brusly Elementary School. According to police records, the Brusly Police Department arrested Blank after she allegedly pushed the student against a closet, demanding the child "pick up her things." According to an affidavit, Blank allegedly grabbed the child by the neck with one hand and squeezed her upper arm with the other while holding the student against the closet doors. She is also accused of false imprisonment for allegedly blocking the door with chairs, preventing anyone from leaving the classroom. "A teacher who puts a desk behind a door, charged with false imprisonment is equivalent to, in my opinion, if a teacher tells a student he can't go out to recess and he should stay in the class, said Clayton. He tells 9News those charges were dead on arrival. The West Baton Rouge Parish School System superintendent confirmed the teacher now works for Lukeville Elementary School. I want to thank all my family, friends, parents, and co-workers who always remained faithful to me in spite of the media coverage. My friends have been steadfast in their loyalty and knowledge that in 15 years of teaching our children, I was innocent of these charges and the children I have taught are all close to my heart. From the beginning of this, I cooperated fully with the school and law enforcement and gave a full statement as to what happened. I have not commented earlier as my private attorney advised me to 'not try this matter in the press' while this was ongoing and allow the process to work for me because he said an innocent person can get justice in our legal system. I am pleased that after a full review of all of the facts, the district attorney's office has decided to drop these charges.